We want our funding to be available to any emerging or professional musician that needs it. We often hear musicians say ‘well this type of funding is not for me’ and we want to show you the different types of musicians and projects we have funded in the past. We have funded self-taught folk artists who need some intensive lessons in technique, singer songwriters who want gain more control over their recording process by taking a short course in production, we have also seen people use the fund to create their own scheme of study with tutors they admire, instead of undertaking a postgraduate training which can be very expensive! Read the following case studies for more information and inspiration. 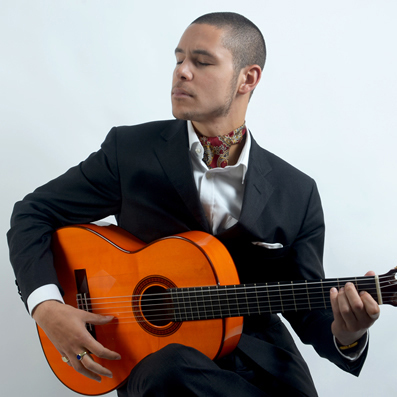 Sam was granted a Career Development Bursary from Help Musicians UK to facilitate tuition with the world-renowned flamenco guitarist Juan Martín. Juan Martín is one of the most eminent flamenco musicians in the world. In July 2015 I had the privilege to work alongside Juan as his teaching assistant for the International Guitar Foundation’s Guitar Summit hosted at Kings Place (London). As a result of this positive encounter, Juan kindly offered to take me on as his one-to-one student: a unique educational opportunity! I have just completed my first inspirational lesson with Juan and I am currently hard at work in the practice room working on the material we’ve looked at. Not only are these lessons invaluable to my development as a flamenco musician, but are also helping with my preparations for a performance project: Poeta: Painting in Poetry and Sound. As Juan Martín has a great deal of experience with interpreting painted works through the medium of flamenco, having been invited to do a similar concert at Picassos 90th birthday, and having subsequently released a number of albums with this specific theme in mind: Picasso Portraits and Painter in Sound (whose title inspired the name of this specific creative project), his tuition and advice will be invaluable. In March 2017 Carla took part in the inaugural Singer Songwriter Residency at the Banff Arts Centre for Creativity in Canada and she has since been invited back to Canada to work on a new album with Howard Bilerman in Montreal. I was one of 24 residents who undertook two weeks under mentorship from esteemed songwriters Kim Richey, Don Henry, Matracia Berg, Jeff Hanna and Russel de Carle headed up by the indomitable Kevin Welch and spear headed by the wonderful Allison Brock set in the picturesque mountains of Banff. It was my first time participating in a residency, I was unsure about what to expect but left with more than I could possibly have imagined. Over the course of the two weeks, each resident had their own studio to work in. We had morning classes to openly discuss song structure and lyric content with our mentors, one on one sessions to perform new works, the opportunity to perform on stage and it was all capped off by each participant having a three hour recording session working with Howard Bilerman as producer in the glorius Telus Studio – packed full of vintage synths with access to just about any instrument you could possibly imagine – working with the Warhol-esque Fats Kaplin playing lap steel guitar, violin and just about any stringed instrument to his disposal. I've never felt more accepted in all my life. I've never felt more able to freely discuss my hopes and fears about writing and playing. More importantly I've never felt so understood. 24 people of varying ages and varying backgrounds, working in varying genres but all with the same love of music, thrust together for two intensive weeks in the mountains. I left Banff with four new songs, two fully recorded tracks ready to be mixed, 23 new friends and a reignited fire and determination for melody, structure, lyrics and song. I made big changes to my lifestyle since returning home to Scotland to allow me more time to write. As a result I will be going back to Canada to some more recording and continue to build, collaborate, develop and finish new work. I can never thank Help Musicians UK enough for allowing me to have this life experience by supporting me on this residency. Phoebe received HMUK funding to go to China as the UK-representative at I Sing International Young Artists Festival - a cross-cultural collaborative musical programme between western and Chinese opera singers; including mandarin lessons every day, so that opera can be sung in tandem, across all the languages. The only British attendee, Phoebe’s group consisted of 5 Americans and members of countries that used the historic trade route, the Silk Road, including Armenia, Ukraine, Iran, Russia and Turkey. Phoebe returned with a resounding love for the language and thinking in new ways. With little preconception of what to expect from the trip, it was completely different to anything she’d experienced. 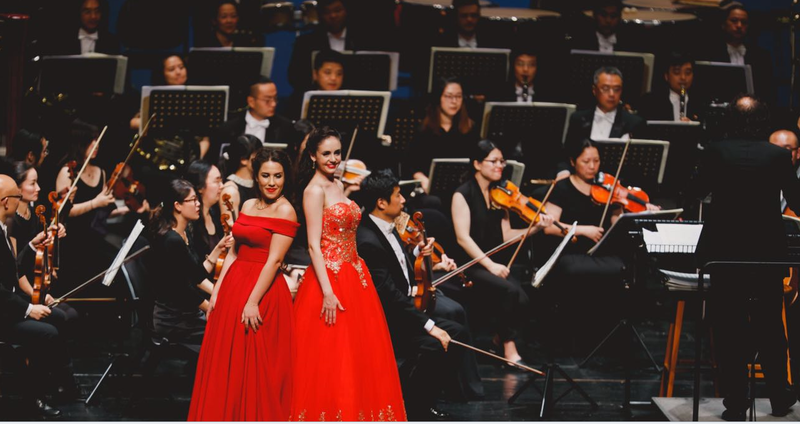 Delighted to find that opera in China is a growing art-form and heavily invested in, audiences enjoy traditional western operas as well as modern contemporary Chinese operas, which Phoebe performed scenes from, alongside traditional folk songs and anthems at the festival. Attending I Sing Festival has affected Phoebe’s career in both tangible & intangible ways, since approached to sing a half-Chinese, half-European repertoire for her debut at Carnegie Hall. The trip was a musically and personally enriching experience that has encouraged her to bring back the music she discovered, to explore fusions in her own work and focus on mastering her art. Crucial to development, in Phoebe’s eyes, is to identify strengths, and be active and driven, because DIY culture makes anything possible. Living out of a suitcase for some months, it’s been a busy period of auditioning all over the world for Phoebe. She’s putting on a cross-cultural Chinese opera, inspired by her trip, with some funding from the Sino British Fellowship Trust. Phoebe continues to apply for funding for the many ideas she has in the pipeline. Her advice is to be specific, objective and as detailed as possible in describing the activity, which should have a lasting effect on your career, and this needs to be demonstrated. Keep trying, and ask for feedback even if it’s not officially offered, because you might get it, like she did! Phoebe has a performance on Sep 6th at the China Exchange for Chinese Valentine’s Day – The Lover’s Bridge of Magpie’s.